According to reports, the average entrepreneur works 60 hours a week and therefore maintaining a healthy work-life balance is imperative, argues Houston-based Empire Z Inc. The direct sales and marketing specialists have noticed a marked improvement in productivity and general well-being since their return from Puerto Rico. The personal and professional benefits of maintaining a healthy work-life balance are massive, and while it’s important to work hard, it’s also vital for people to take time out which will result in a boost to productivity. CEO at Empire Z Inc., Bing Zou was accompanied by a handpicked group of the firm’s top performers for an all expenses paid trip to Puerto Rico. The group recently flew out for a five-day R and R getaway. During the vacation, the group stayed at the 4-star La Concha Renaissance San Juan Resort in the heart of Puerto Rico’s hottest locale, Condado, San Juan. La Concha offers stylish accommodation right in the heart of the entertainment capital of the Caribbean. “The personal and professional benefits of maintaining a healthy work-life balance are massive, and while it’s important to work hard, it’s also vital for people to take time out which will result in a boost to the efficiency of their work performance,” commented Mr Zou. Empire Z Inc. has highlighted the three main benefits of taking time away. Working hard is par for the course for entrepreneurs, with most putting in 60+ hours per week, however failing to take time out will often result in burnouts. Burnouts can impact people both personally and professionally. Achieving the right work-life balance is important as it allows people to separate work and home, meaning any work stress stays in the office. Traveling is a great way to escape the stresses of work and rejuvenate. When someone achieves a good balance between work and life, it provides a higher control of focus, enabling them to give their full attention to the task at hand. “When someone gains the ability to leave work at the office, they can fully focus on their home life and relationships, and that will pay dividends. As an entrepreneur, having the support of your friends and family is invaluable,” commented Mr Zou. It’s common knowledge that when someone is stressed or run down, it affects their immune system. Therefore, the stresses of work can cause a variety of symptoms and can affect someone’s overall health and well-being. Taking time out can alleviate stress levels. 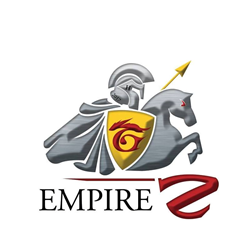 Empire Z Inc. is an outsourced sales and marketing firm that takes a fresh approach to marketing for their client’s unique requirements. Based in Houston, TX, the innovative company develops marketing campaigns that generate a holistic brand image for their customers. The firm has noticed a boost in productivity and profit since their R and R getaway, and plans are already underway to schedule another trip early next year.